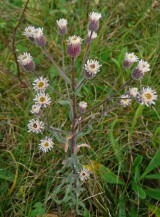 Blue fleabane is a common native annual or occasional perennial growing to a height of about 20 – 50cm. It is a member of the daisy family with a flower head that consists of a pale yellow floral disc and pale purple rayed florets (petals). From a distance this combination of pale yellow and pale purple appears blue hence it common name. 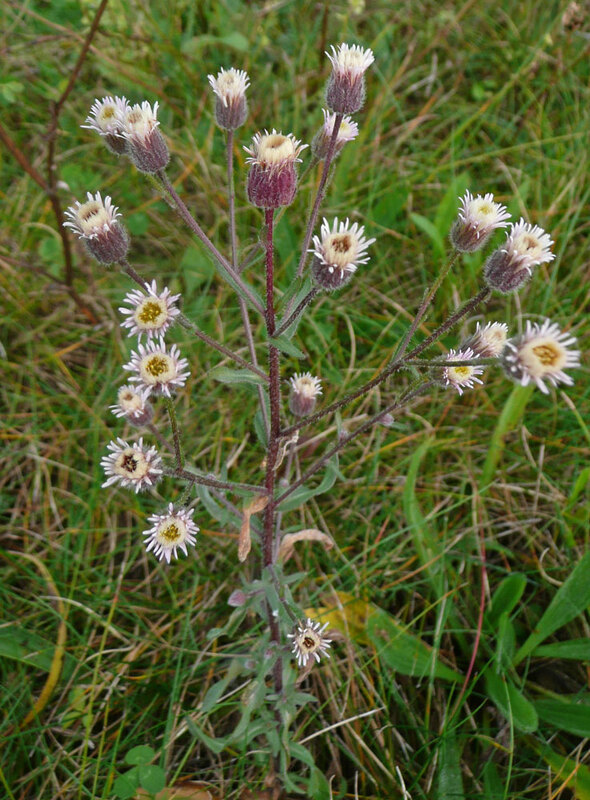 Blue fleabane is a plant of skeletal environments on well-drained neutral or calcareous soils particularly on warm southing facing slopes. Habitats include sand dunes, quarries, waste areas, walls and rock outcrops. 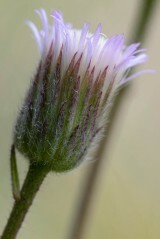 Grows readily from seed sown at any time of the year.